There are currently three Jewish studies options at the following two primary schools. At Indooroopilly State School, Chabad Brisbane runs a Cheder class as part of the schools Religious Education (RE). The class runs each Tuesday, from 10:00-10:30 am during school term. Please contact Rabbi Levi Jaffe, (Info@Chabadbrisbane.com) or the school directly for further details. In addition, the United Board of Hebrew Education Queensland (UBHEQ) runs an after-school Cheder class each Wednesday from 3:15 to 4:45 pm during the school term. Please contact the UBHEQ Cheder Coordinator Tony Leverton (tonysal@bigpond.net.au) for further details. At Jindallee State School, Chabad Brisbane runs a Cheder class as part of the schools Religious Education (RE). The class runs each Friday from 10:00 - 10:30 am during school term. Please contact Chanoch Sufrin, (chanoch@ChabadBrisbane.com) or the school directly for further details. Classes can be organised in other areas where there is interest. 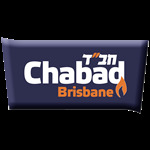 Please contact us (info@ChabadBrisbane.com) to discuss options. At Mansfield State High School, the United Board of Hebrew Education Queensland (UBHEQ) has organised an after-school Cheder class each week during the school term. Please contact the UBHEQ Cheder Coordinator Tony Leverton (tonysal@bigpond.net.au) for further details.